Posted on March 4th, 2016 by Jacob. Although the hype for ‘The Force Awakens’ may have died down since its Christmas release, there is still a lot of love for everyone’s favourite film series from a galaxy far far away. Since its first theatrical release in May 1977 (that’s nearly FORTY years ago!) Star Wars has become a staple of many geeks’ treasured franchises, adults and children alike. 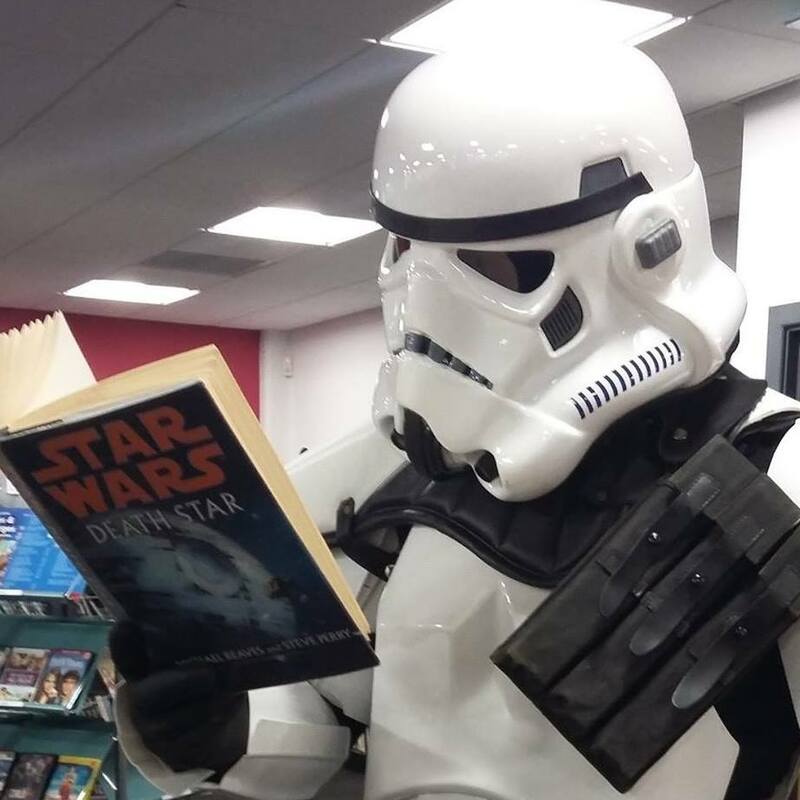 So when we heard that Barnsley Library was holding a themed day: ‘Star Wars – Barnsley Library Strikes Back’, on Saturday, February 27th, we couldn’t stop our resident geek-head (and editor) Jacob, from dropping in to check it out! For any young Star Wars fan, this was a dream come true; a multitude of characters showed up, from Darth Vader and Stormtroopers, to Boba Fett and Jedi Knights. There was also a fancy dress competition, kids’ crafts; like colouring Chewie masks and make your own lightsaber, and a range of stalls, selling sci-fi memorabilia, cakes and comics. 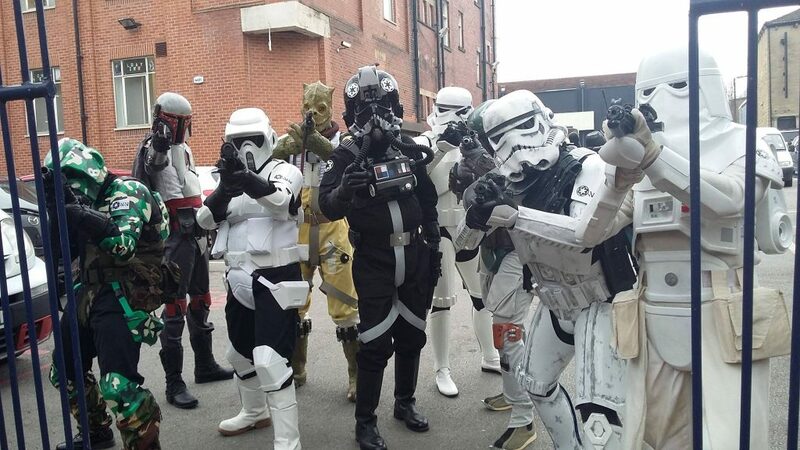 It’s great to see Star Wars is still fondly thought of by so many, and brilliant that Barnsley Library, which is just across town from our office, decided to put on such a fun day!